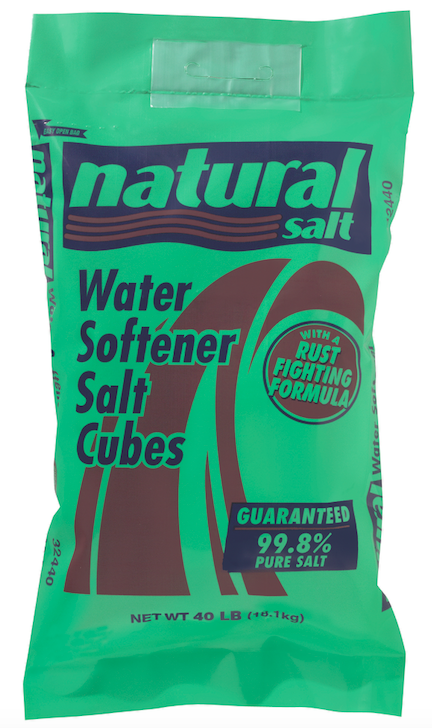 Natural Salt Compacted Water Softener Salt with a Rust Fighting Formula efficiently softens water in your home and helps remove iron from your water and prevent rust discoloration that might appear on your plumbing fixtures and clothes due to high iron content in your water. Simply so you and your family can enjoy the benefits of soft water in your home. © 2019 Natural Salt All rights reserved.